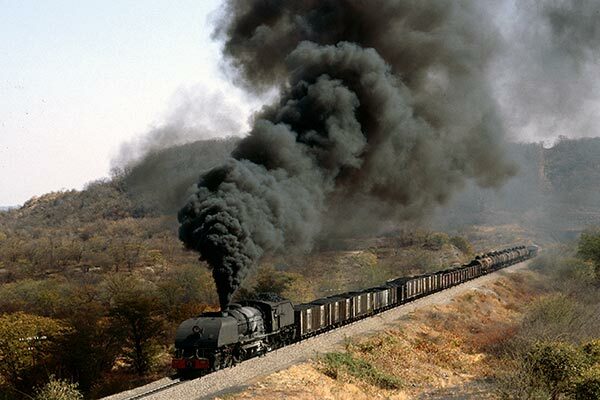 Caption - Zimbabwe Railways (NRZ) refurbished 15A class Garratt 386 "Umyelane" heads a mixed Thompson Junction to Bulawayo freight near the Baobab Hotel, Wankie, in July 1987. This 4-6-4+4-6-4 Garratt left the Manchester works of Beyer Peacock in 1949. This class was used across the Rhodesian Railways network including a few working in Zambia. A few examples of this class are still in working condition.